Looking to lift the rear of your vehicle? Look no further than Southern Trucks 1-inch GM rear block kit. Southern Trucks rear block kit allows you to take the stress off your leaf springs, while making towing large hauls a breeze. 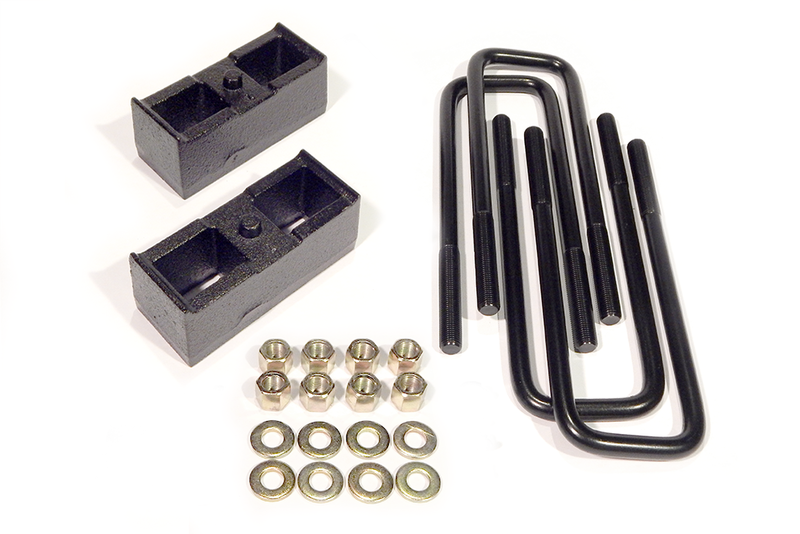 Our rear block kit is made from cast iron and includes new longer U-bolts. Not only are you getting a great product at less than half the cost of the competition, Southern Truck offers a limited lifetime replacement on all rear block kits to give you peace of mind when making the decision to buy.